Thomas Shelby (Cillian Murphy) is drawn into a maze of global intrigue in the electrifying third series of Steven Knight’s acclaimed family saga. The charismatic leader of criminal organisation the Peaky Blinders, Tommy Shelby now has more wealth and success than ever before. As he prepares to turn the family business away from illegal activities, he becomes caught in a web of international intrigue more treacherous than anything he’s previously encountered. Tommy is forced to plan his most audacious crime yet, and in doing so, must compromise everything he holds dear. Approached by a secret organisation on his own wedding day, Tommy finds himself at the centre of an international arms deal that could change the course of history. In a sphere where no one reveals their true intentions until the game is up, Tommy has to contend with a White Russian exile whose brutality knows no bounds, a priest with a killer dog, a beautiful Duchess even more manipulative than him, and a powerful entity at the heart of the British establishment that will stop at nothing to accomplish its reactionary aims. The pressures they inflict upon Tommy are carefully chosen and exquisitely unpleasant. Meanwhile Tommy’s legal and illegal businesses have made him rich beyond his dreams. He now inhabits a Roaring Twenties world of beautiful people and sumptuous mansions, and he has found love at last. But Tommy’s relatives have become increasingly difficult to handle, and threaten to blow the Shelby family apart. As Tommy is coerced into the most audacious criminal act of his career, he realises that his response to overwhelming external and internal forces will define the kind of man he is. Overflowing with characters of startling originality and a story that truly gets under the skin, Steven Knight’s phenomenal vision of a family’s odyssey through British society reaches new heights in a series that is emotional, intense and wildly entertaining. 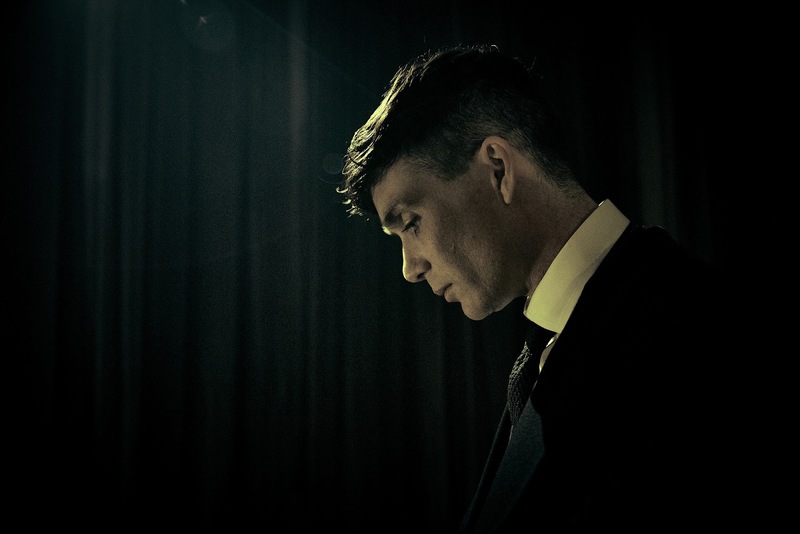 Describe how life has changed for Tommy Shelby since the end of series two? At the end of series two we all thought Tommy was a goner. We start series three two years later. What I like about television is that when you come back to a new series you can create a gap where the story continues that the audience isn’t privy to. In series three we see him and the family on an upward spiral. Tommy and the family are now very wealthy, with big houses and fancy cars, so materially they are doing very well. Emotionally however, that is another matter. What sort of man has Tommy Shelby become? At the beginning of series three Tommy is getting married. I think, however, the gangster part of his life is still the most important. In the first couple of episodes the contrast between his personal life and the business clashes, which makes for a dramatically interesting conflict. Have Tommy’s newly found responsibilities affected his relationship with his family? I think having a semblance of family life helps Tommy in many ways, in terms of making the Shelbys more cohesive. It creates a communal environment for the family and there is a newly-formed support network later in the story involving Polly and Ada. There is a big junction between family life, criminal life, violence and Tommy’s ambition and it’s a tricky one for him to negotiate this time around. What was your first reaction on reading this series of scripts and seeing what Steven Knight had in store for Tommy? What is great about Steve’s writing is that, having played Tommy for a while, you think you know the character, but you can never ever predict what Steve is going to do with him. It is so exciting to get the scripts as they always astonish me, and he pulls out a few shockers in this series. I also think by the time you get to a third series you need to be quite bold because the audience is so invested in the characters, they feel like friends to them. It is important that you move on with the characters and take leaps, so that the audience feel that they are going on a journey with them. I feel that Steve has really nailed that in this series. What we can expect from the opening of series three? Weddings are usually intensely boring affairs except to the bride and groom, but Steve has managed to create an opening episode (which is a wedding day), that is riveting. There are so many layers of drama going on and right from the get-go it’s a stunning piece of writing. On the one hand it is supposed to be the union of these two people that love each other and then on the other there is the business and gangsters, violence and familial tension going on. I found it really compelling and I hope it will be equally engaging for the audience. Despite moving up in the world Tommy never really lets go of his gypsy origins. How do we see Tommy return to his gypsy roots in series three? For somebody who doesn’t believe in religion and is completely godless, Tommy is an incredibly superstitious man. I think people who have that belief in superstition don’t really use it when things are going well; it becomes something to blame or a way to justify something that has gone wrong. In this series things go wrong quite quickly and Tommy uses the gypsy superstition as a means of getting himself out of a situation. Why has Tommy given Polly a position of seniority and power in the company? Tommy and Polly’s relationship is a fascinating one and it keeps growing and evolving from series to series. They represent a number of roles within the family. They are brother and sister, but can act like husband and wife, and mother and father to the family, yet they are none of those things and all of those things all at the same time. Each series Polly seems to go through different phases. Series three is about her growing independence and being upwardly mobile, and perhaps even having relationships. However, it seems that any time somebody moves away from the role that Tommy has designated for him or her, he finds it very difficult to deal with. Tommy has a lot thrown at him in this series and by the end of it he is probably not behaving completely rationally. It gets the most serious that it has ever become in this series, when dealing with the gravity of the fracturing of their trust for one another. Does Tommy see Michael as his natural successor and is that why he is placing more trust in Michael’s hands? Michael impresses Tommy as he has a good business head on him and seems quite unafraid of things. I believe Tommy sees something of himself in Michael, sees him as someone he could mentor - but it’s tricky as Polly doesn’t want her son to become involved in the darker side of the business. 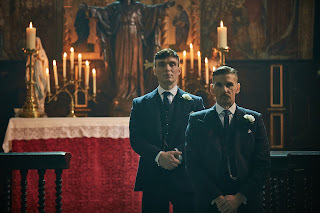 For the moment Michael is kept in the legitimate world of the Peaky business but Tommy sees him as a potential leader and probably Michael sees himself walking in Tommy’s shoes. Steven has created some nasty characters but none more so than Father Hughes. Describe the effect he has on Tommy. I don’t think any of the foes that Tommy has encountered over the course of the series have affected him quite to the degree that Father Hughes has. There is this level of vitriolic hatred that’s beyond anything that has come before. With Campbell (played by Sam Neill in series one and two), I think Tommy had some sort of grudging respect for him by the end. With Alfie Solomons (played by Tom Hardy), Tommy can see there are similarities between the two of them, but with Hughes it’s really dark. Hughes is probably the darkest character Steve (Knight) has written to date and Paddy Considine playing him is absolutely terrifying. Tommy despises what Hughes represents. He despises his behaviour and he despises the institution of the church and the relationship the church has with the State. The State that let down all the soldiers during the war, and to Tommy, Hughes is the very embodiment of that. Describe the wide scope of the storyline involving the Russians and how Tommy fits into their plan? The multi-layered stories in this series are a tribute to the quality of Steven Knight’s writing. If you imagine a gangster series set in the 1920s in Britain, and that the gang has expanded to such a degree that they control Birmingham and are hugely powerful in London, you might think the natural progression would be to look towards America. What Steve did was the complete opposite. He involved Russia in the world of the Peaky Blinders. It was unexpected to read about this explosive time in Russian history and with a lot of the background to our story actually happening in world history. Steve loves this world and is brilliant at uncovering these historical events and weaving them into this storyline. With Tommy’s involvement in this politically charged atmosphere, we see him out of his depth and thoroughly backed into a corner by the end of it all, which could have terrifying consequences for him and the family. How does Duchess Tatiana Petrovna fit into Tommy’s life? Is she the female incarnation of Tommy? There are elements of this series that leave Tommy emotionally spiralling out of control, which in turn leaves him the most vulnerable we have ever seen him. Then in walks this Russian aristocrat whom he is doing business with and Tommy really does come up against someone who is completely different to what he is used to. Someone who has a whole other set of questionable morals and superstitions and who goes after exactly what she wants. She is not afraid to dip her toe into the world of the Peaky Blinders and hold her own against Tommy. Tommy is dealt some cruel blows in this series. How does he come back from that place, if at all? This is the most emotionally beaten down I think we have seen him. Those external forces that Tommy is trying to guard his family and business from, know that the way to get to him is through the family. So when they are threatened that is when Tommy spins out of control and becomes very, very dangerous. In some ways the music is another character in the show. Do you contribute to which tracks are used on the soundtrack? I love how important music is to the show and I think the audience do also. I thought what we did in series two with P.J. Harvey, Flood and various other artists that were involved in the soundtrack was exceptional. Being a music fan myself I like to get involved in knowing who is being considered for the soundtrack and what songs producers might be thinking of. It is fantastic to be involved in a show that musicians also want to have their music featured in. What is it like getting back into the role of Tommy Shelby? Tommy is a very physical character and goes through a lot this year both mentally and physically. There is a real test of endurance in this series and it was an exhausting shoot, but I loved coming to work every day. We had a fantastic director in Tim Mielants and a terrific cast. Compared to a feature film it was a tough schedule - we got through a lot each day. Peaky Blinders has a strong fan following. Have there been any locations where it was a surprise that you were recognised for your work on the show? When I get the haircut you can’t hide that Peaky Blinders is coming back and I am recognised more. It always happens in places that you think would not have much interest in Brummie gangsters from the 1920s, like Greece or the Czech Republic, and they love it in France. It’s fantastic that Peaky Blinders is globally recognised, the series is quite specific to this time-period and location but somehow it has universal appeal. What do you think attracts people to the show and keeps them wanting more? For me it is great writing, great characters and originality that attract me to a TV show. From the fans that I talk to that’s what they seem to like about Peaky Blinders. What can the audience expect from series three? This series has a larger canvas with increased jeopardy and danger. It’s shocking and bloodier with interesting Russian intrigue. 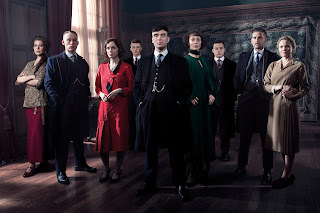 Peaky Blinders Series 3 starts on Thursday 5th May at 9 pm on BBC Two.